The US Intelligence Agency, NSA has been reportedly intercepting and accessing routers, servers, and other computer networking hardware to plant data gathering “backdoors” and other spywares before they are exported and delivered to the international customers, reported by the Guardian. Yesterday in a published excerpt of his forthcoming book, “No Place to Hide”, Journalist Glenn Greenwald underlines the interest of National Security Agency in planting backdoors in U.S. suppliers’ routers and other networking devices in order to carry out its massive surveillance program. "A June 2010 report from the head of the NSA's Access and Target Development department is shockingly explicit," Greenwald said. "The NSA routinely receives — or intercepts — routers, servers and other computer network devices being exported from the US before they are delivered." While US government is always prohibiting the purchase of Huawei products due to suspected backdoors from the Chinese government, however the book written by Glenn Greenwald reads that the US government does the same thing with US suppliers’ hardware and repackages them with a factory seal before supplying them to overseas nations. 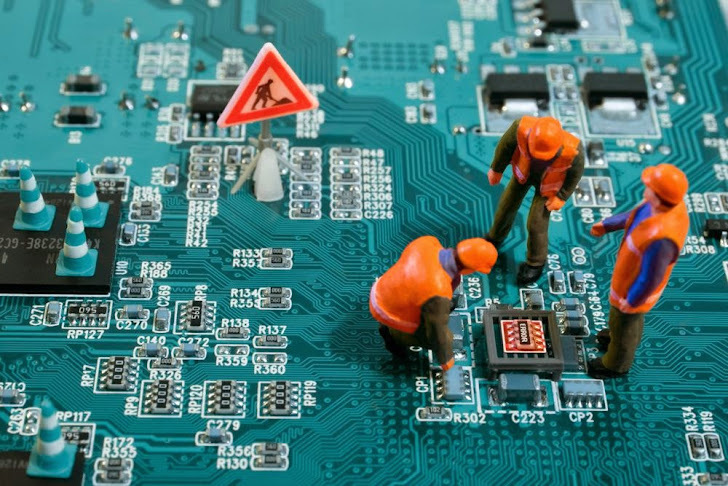 “The agency then implants backdoor surveillance tools, repackages the devices with a factory seal, and sends them on. The NSA thus gains access to entire networks and all their users. The document gleefully observes that some ‘SIGINT tradecraft…is very hands-on (literally! )’,” Greenwald writes. According to Greenwald, the document of this new revelation is going to release today. His new book is based upon the leaked documents from 2010 provided by the former NSA contractor Edward Snowden that detailed the NSA receiving or intercepting various devices in the US before exporting them to foreign countries, which he apparently obtained from Snowden. So far, The US National Security Agency (NSA) has been working with the security firm RSA on planting backdoors to spy on people, but if these allegations by Greenwald are correct, it’s all clear that all manner of US companies must be complicity involved with the agency. By planting backdoors surveillance systems in the equipments, the NSA could feasibly gain access to the vast networks and users. 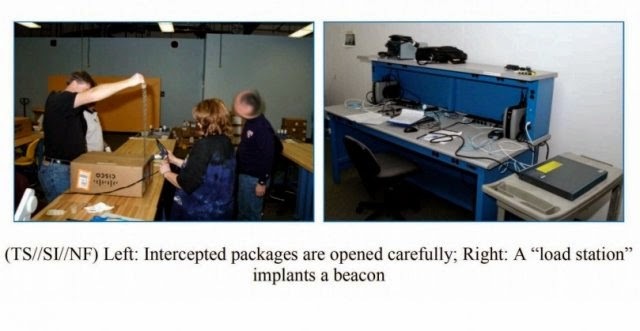 "In one recent case, after several months a beacon implanted through supply-chain interdiction called back to the NSA covert infrastructure," the NSA report says, according to the Guardian. "This callback provided us access to further exploit the device and survey the network." It’s not first time the NSA has been accused of this type of allegation. Also a report from German newspaper Der Spiegel alleged that the US intelligence agency intercepts the shipping deliveries to plant back doors in electronic equipments in order to gain remote access of the systems, including computers’ hard drives, routers, and other devices from companies such as Cisco, Dell, Western Digital, Seagate, Maxtor, Samsung, and Huawei.